It’s a part of our modern lifestyles nowadays, getting stuck in traffic jams. They can happen at any time and nearly any place, but most often they happen when you are pressed for time and need to be somewhere sooner than later. They catch you when you least expect it and tend to last much longer than you care to imagine. But instead of getting red-faced, cursing, honking and fretting about the whole ordeal, you should spend that time in a traffic jam doing something interesting or fun. 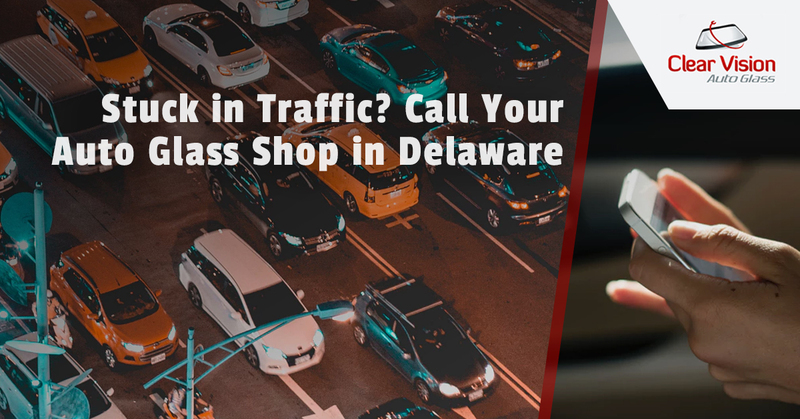 Clear Vision Auto Glass, your auto glass experts in Delaware, offers you things to do when you are stuck in a traffic jam. When you are hopelessly stuck in traffic, turn up the volume on your radio and sing along with Justin Bieber, Taylor Swift, Tom Petty or whoever you happen to be listening to. Make the experience even more worthwhile by making sure your window is down so everybody around you can hear you slay every note of the song. Not only will you feel better about the situation you are in, you are probably improving the moods of the people around you. At least, you hope so. Calling your mother is one of those things you have to do but always put off indefinitely. You do this because there is never a good time to call your mother. You could call a brother or sister or a friend when stuck in a traffic jam, but they never answer when you call anyway. Your mom always answers the phone. You could be stuck in a freak traffic jam on Saturday morning at 2 am and if you called your mother she would answer. Anyway, your mom will be glad you called, you will have done your good deed for the day, you kill some time sitting in traffic and now you don’t have to call her again until next month. There are a lot of therapists out there who will say this is a bad idea. But what do they know? At some point in your life, you need to think about your shortcomings, it’s only human. Since you are stuck in traffic and not in a very good mood anyway, now is the perfect time to come to the realization that you have a soul-sucking job and you have yet to provide anything meaningful to society. If you are still in that traffic jam after you have discovered your personal failures, think about ways you can become a better person. You lead a fast-paced life and squeeze as much as you can into a short period of time, you are probably all stressed out all of the time. Take this stress-inducing moment being stuck in traffic to take deep breaths and meditate a little. It can’t hurt. You could also take the time you have stuck in traffic to finally call Clear Vision Glass about your cracked windshield. You will be glad you did.